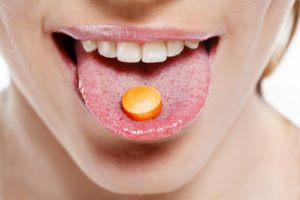 PTSD Treatments Aren’t Effective, So Government Green Lights… Ecstasy??? This article first appeared in The Havok Journal on 2 December 2016 and was updated after subsequent reporting on this subject. That’s right folks, the government approved a big study to treat PSTD with X. Stand by for all kinds of people trying to “catch the PTSD” to get their Medicinal Mollie. It is an incontrovertible fact that PTSD is grossly mis-diagnosed, and easily faked, and using MDMA to treat people who have (or claim to have) PTSD is a huge mistake. The results are predictable: the treatment benefits of using MDMA to battle PTSD (if there are any) will be greatly overshadowed by the crush of people who will suddenly “catch the PTSD” in order to get “medicinal Mollie” or who spend their days getting stoned instead of getting treatment for what really ails them. The few people who legitimately do have PTSD and take MDMA to mask its effects will still have the condition, they’ll just be too stoned to notice. That doesn’t sound like a good idea to me. Those who legitimately have PTSD, especially Veterans, should be moving away from “zombie dope,” not towards it. MDMA’s long-lasting, mood-altering and physically-debilitating effects make it even less likely that those with PTSD will be able to hold jobs, think clearly and logically, and function well in society. Not to mention the fact that it will almost certainly (and probably quite reasonably) affect your ability to own and/or carry a firearm. Wait, what?? We’re promoting a mind- and mood-altering drug that has a known side effect called “suicide Tuesdays” to treat PTSD, a condition that can cause anxiety, sleep deprivation, depression and suicidal thoughts? For real, FDA? OK, I admit that even while I was able to discern the meaning from context, I had to look up the word “salutary” from the above quote. The word means “producing a healthful benefit” or “promoting health.” Yeah, OK, I can see that, so in the context of MDMA, “salutary” means keeping you stoned, making you depressed and/or suicidal, and probably getting your guns taken away. Roger. Look, the same people who are pushing Mollie for PTSD admit that the most effective way of treating PTSD is group therapy. So why aren’t we looking at ways to improve that? Right, because there’s not a Big Pharma payday associated with it. Veterans should stay far, far away from “treatments” that involve getting stoned, and do what we do best: help each other.